Although I bought my Brooks Cascadia 8's with the intention of using them as casual shoes, I couldn't resist taking them to Stillwell this morning. I have a perfectly nice pair of Helly Hansen Trail Lizards that have been my primary trail shoe over the past few years. Even so, I was curious to see how the Cascadias performed on Stillwell's tough trails. 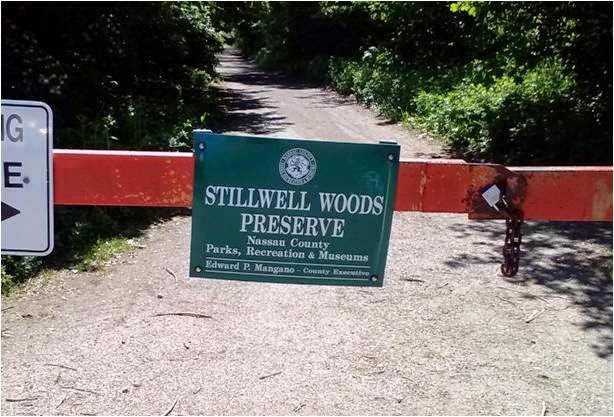 It's been over a month since I've done any type of trail running, so I was excited to hit the trail head leading into Stillwell Woods. 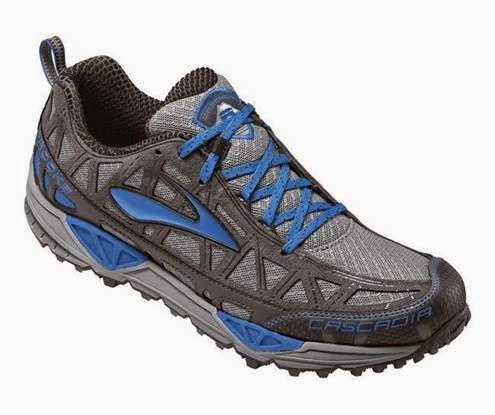 The Cascadia's fit is generous for my shoe size, and I was concerned that it might create some lateral instability. Within a minute of my start, I could tell that would not be an issue. The first thing I noticed about the shoes was the rock plate that provided less flexibility than the lighter weight Trail Lizards. On the positive side, I was able to plant my foot anywhere on the trail without concern for the jarring impact of roots and rocks. I normally need to step gingerly along certain areas at Stillwell, but the Cascadias absorbed everything in their path. I didn't get adventurous enough to test vertical ascents out of the Viper Pit today, but I had no problems with the steep, scree covered sections that I encounter along my usual loop. Once I became confident that the Cascadias could handle any terrain, I shifted focus from watching the trail to enjoying the sights. That nearly cost me a face plant when my toe caught a high root and I almost went down. I was glad to have quickly restored my balance and suddenly grateful for the substantial toe guard. The temperature was a few degrees higher than yesterday, but the tree cover kept me cool throughout the run. The Stillwell caretakers had recently trimmed the high grass adjacent to the single track that runs around the open field. That was great. When that grass gets high, it presents a real tick concern. Overall, I ran easy and kept my heart rate between 81-84% of max. It was nice to be back in the woods and I appreciated the way the Cascadias performed. I'm thinking about adding more trail runs to my schedule while the weather remains cool. It's been a long time since I ran the Dirty Sock course in Babylon, so that might be a nice change of venue for my next outing. I got my signed release form in the mail from my doctor yesterday and I'm now able to use my company's fitness center. Not that I love treadmills, but they have very nice equipment. Best of all, they have showers, so no more post-workout towel downs with Wet Ones, like I used to have to do at my old office. Take pics of the gym at work! I'd be interested to see..
Also, the new bike trail at Jones Beach is finished! We have to run it! 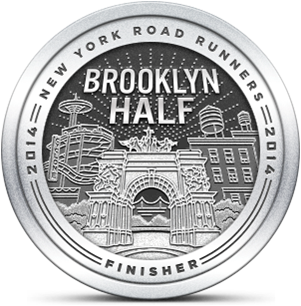 Should we run Stillwell on Saturday instead of Bethpage? Stillwell is a great place to run, but some parts are very technical. I have a loop (approx 2 miles) that is fairly manageable. Up to you guys. I'll take some pics of the gym. Looks a lot like a hotel fitness center.